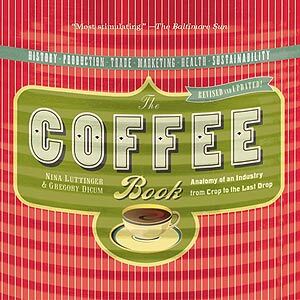 Nina Luttinger is a writer and sustainable business consultant. Previously she worked for TransFair USA, the non-profit fair trade certification agency. 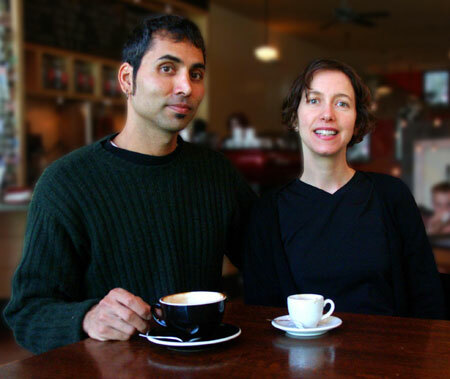 Before joining TransFair, she founded and ran (with Gregory Dicum) a fair trade importing company for several years and worked for the Sierra Club and other environmental organizations in San Francisco. She has a master's degree in environmental policy from Yale. Before earning the degree she worked as a video producer, creating science documentaries for public television and an environmental series for a local cable station. Gregory Dicum writes about food, travel, and the environment. He has written two books: "The Coffee Book: Anatomy of an Industry from Crop to the Last Drop" (1999; New Press), and "Window Seat: Reading the Landscape from the Air" (Chronicle Books; 2004). A followup, "Window Seat Europe" is forthcoming, as is a children's version, called "Window Seat for Kids," that will also be co-authored with Nina Luttinger. Gregory has appeared on numerous radio shows, including NPR's "Talk of the Nation" and "All Things Considered" to comment on developments in the world of coffee. He has also served in a similar capacity on television, including Canada's CBC Newsworld and San Francisco's KRON. His book, "Window Seat" was featured on NPR's All Things Considered, reviewed by the Wall Street Journal, the Chicago Tribune, the National Post of Canada, Knight-Ridder, and in the New York Times Review of Books. "Window Seat" was also featured in Travel + Leisure, Men's Journal, and numerous in-flight magazines. Gregory has written for numerous publications including the New York Times Magazine, Harper's Magazine, Salon, Travel + Leisure, Decanter, HotWired, New York Magazine, Mother Jones, Gastronomica, and others. He is a contributing editor at Other Magazine and writes a biweekly column for SFGate, the online edition of the San Francisco Chronicle. He has a master's degree in tropical forestry from Yale and an undergraduate degree in ecology from Princeton.